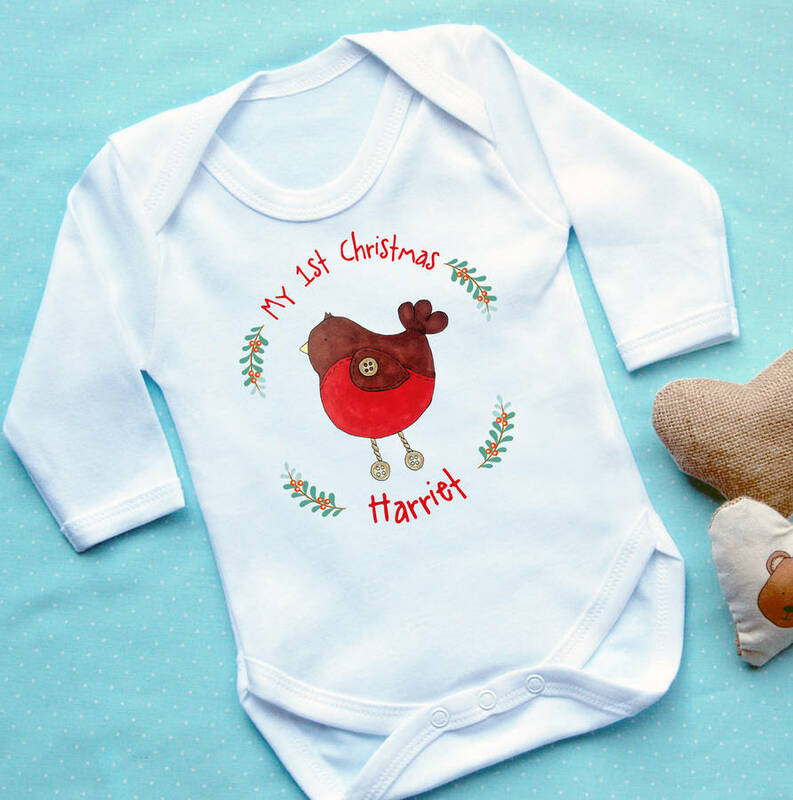 A beautiful soft white long sleeved baby grow featuring a cute hand drawn robin and My 1st Christmas wording. 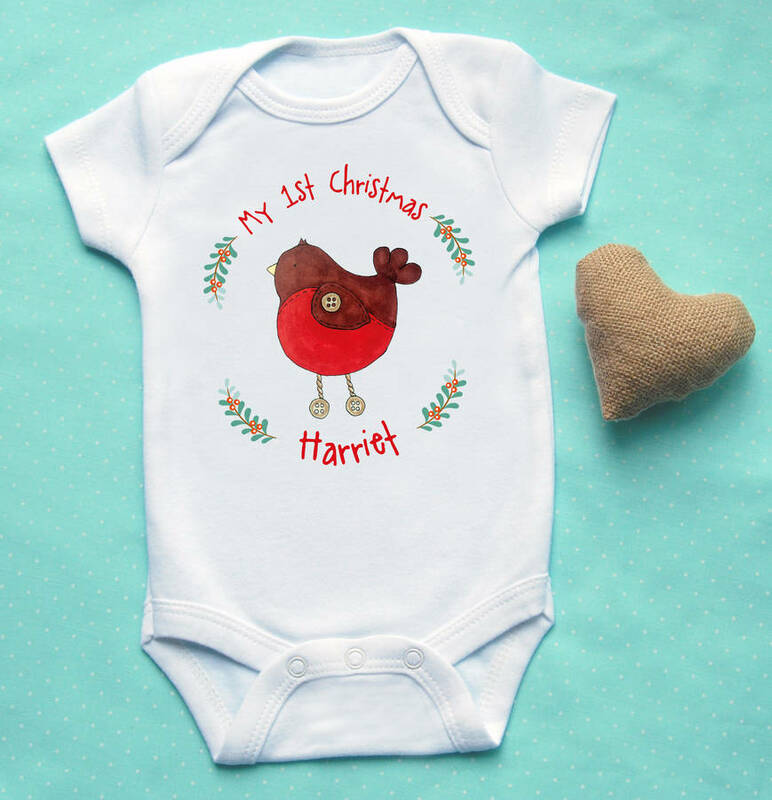 This design comes in Christmas Red font with the option to add a personalised name. 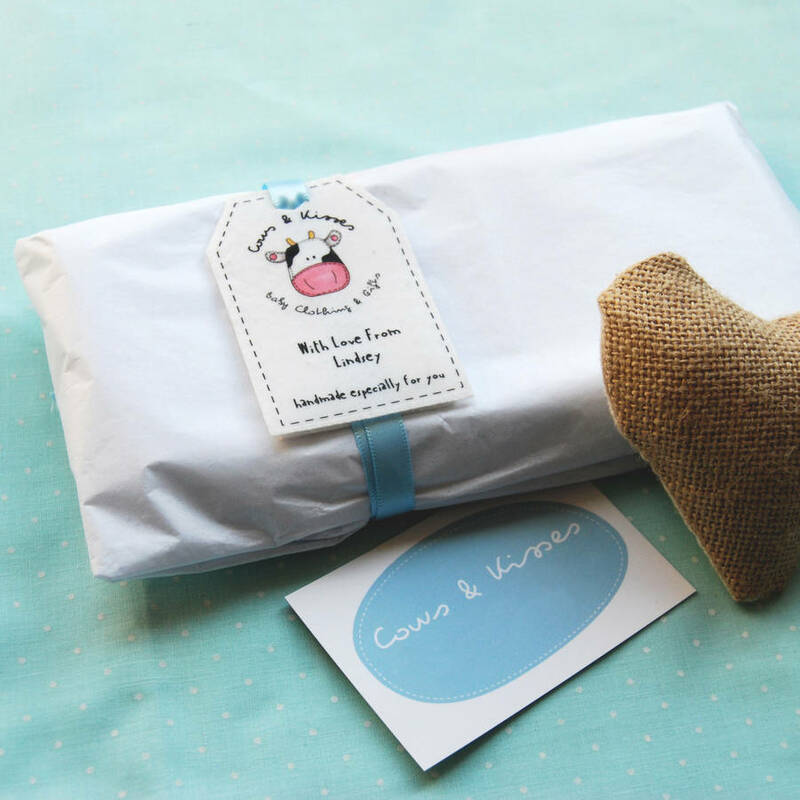 This design features a cute Robin but have a look at our other designs for many more cute designs.